It seems that our man Reggie was misunderstood in a recent interview with the New York Times. As we (and pretty much the rest of the internet) reported a few days back, his interview with the well known newspaper seemed to indicate that ‘full’ DS titles would be made available for download in the future. [quote]An article about the Nintendo DS video game system in the Dec. 31 Business Day section of the New York Times incorrectly referred to future capabilities of the device. 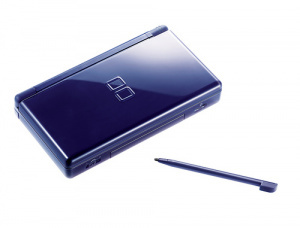 The statement that complete Nintendo DS games will eventually be able to be downloaded into the device via a wireless connection with the company's Wii game console is incorrect. Users can download games to play on Wii, and, in the future, the Nintendo DS will be able to receive demo versions of some DS games from Wii, but not the entire game. The demo will be erased once the Nintendo DS is turned off. [quote]We idly speculated that this news could mean the introduction of a Virtual Console service for the DS, rather than allowing people to download complete commercial DS titles…perhaps this is still a possibility, but for the time being at least it would appear we have the (much less exciting) prospect of DS demos that vanish as soon as we power down.